Through innovation, strength and strategic alliances, we are striving to become a different kind of company. 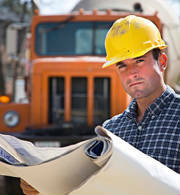 Our unique construction industry resources, enable us to offer performance-based engineered products, extensive industry expertise, emerging technologies, sustainable answers to environmental challenges and a new way of thinking about the construction process. We don't just supply materials. To customize our services to fit our client's situation. Whether our client is looking for total project management and consulting or simply that hard to find quality building product, ESI has the knowledge and resources to assist in the project from start to finish. To be a global organization and the gold standard in any business we conduct. To create valuable results for our customers, strategic partners, employees, and communities by operating at the highest of standards.